Take on Jeff (jtbergerson), Zach (myzteriouzly), Aaron (ge3kusa), Ryan (rb42seven), Pari (Dixoncider21), and me (edantoft) of Fantasy Golf Insider for your chance at cash prizes and free FanDuel entries! 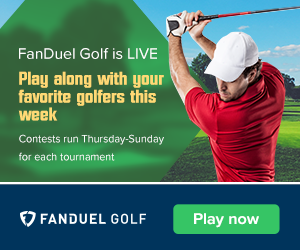 Click on the “Fantasy Golf Insider Beat the Experts FanDuel Contest” link above to get an entry into our exclusive FGI contest over on FanDuel. This is a great contest to gauge your PGA DFS skills while competing against the team here at FGI. FanDuel also has decent prize pools for The Masters so be sure to check out their contest lobby as well. The first major of the season is finally here, and the world of golf could not be in a better place than what it is right now. Not only is Tiger Woods playing at a high level once again, but so are many of the game’s elite that were inspired by him growing up. This young generation of talented golfers are dominating the leaderboards and are showing no signs of letting down. That is where it has been quite difficult ruling anyone out at the top of market for the 83rd edition of the Masters Tournament. Augusta National Golf Club is a stock par 72 course that now measures 7,475 yards in length. The par-4 5th hole was extended by 40 yards with a new tee box for this year’s edition of the Masters Tournament. Augusta National Golf Club will now officially be the longest it has ever been. Leaders in Strokes Gained: Off-the-Tee should have a significant advantage even though distance off the tee is not a requirement to contend here. Scoring is essential on the par 5s in order to go well here however and landing the ball close to the pin will greatly improve scoring chances on the fast and winding bentgrass greens. History has shown that you do not need to be a great putter to win here, just need to have a good putting week. The Masters Weather: The latest weather forecast for Augusta, Georgia can be found here.